One of the greater challenges with port forwarding is the vagaries with all different routers. 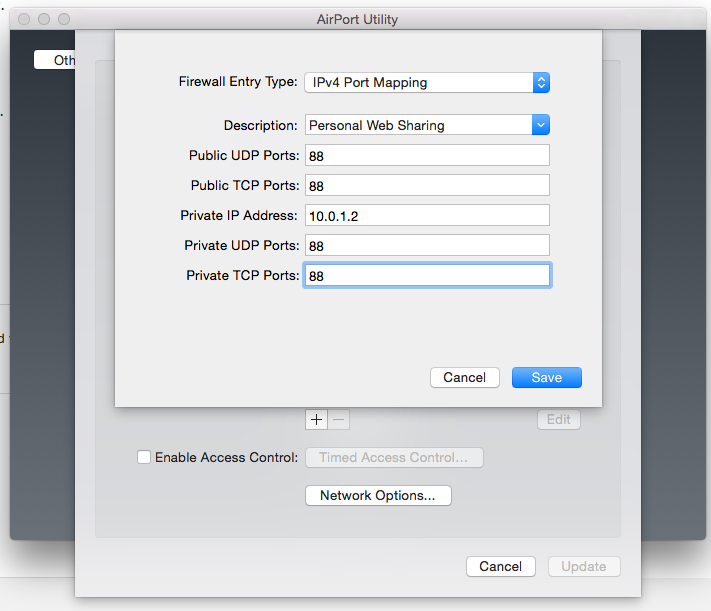 But in particular, the Mac ecosystem is quite unique because it supports its own port forwarding process and its own version of UPnP. Most of these steps were initially gleaned from this Insteon page and then further augmented by our own experiences. 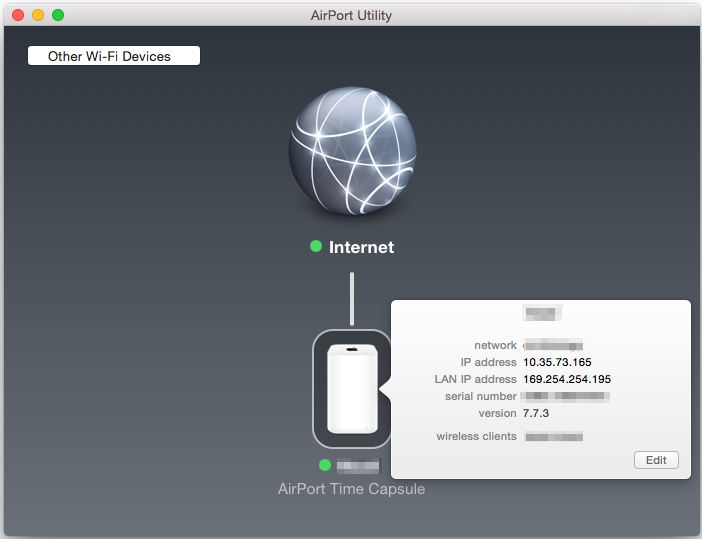 PLEASE NOTE: This requires the newest Airport Utility on your Mac and that your AirPort/Time Capsule/AirPort Extreme is connected to the Internet. It should NOT be in Bridge mode - it must be in DHCP/NAT mode. 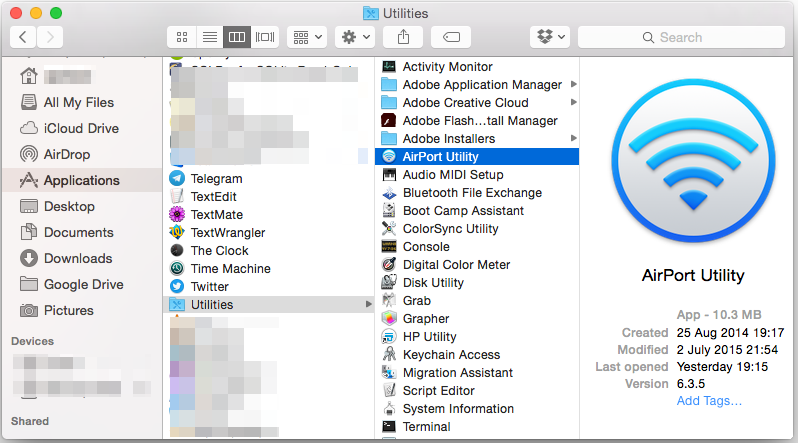 PLEASE NOTE - You want to have the newest version of the AirPort Utility (Version 6.3 or higher). If you have the password, you should be able to click the Edit button as shown above. 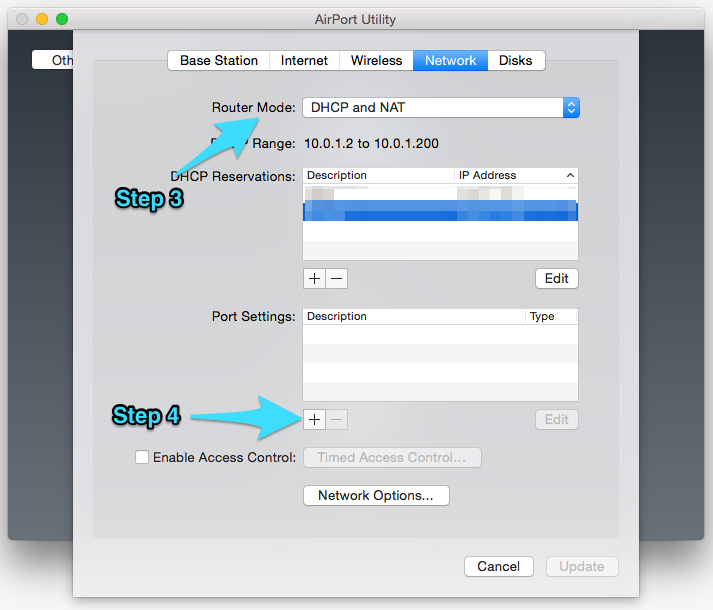 In the Router Mode dropdown, you want to make sure that DHCP and NAT is selected; not Bridge Mode or DHCP Only. Public and Private Ports: this is the port that your camera is on. 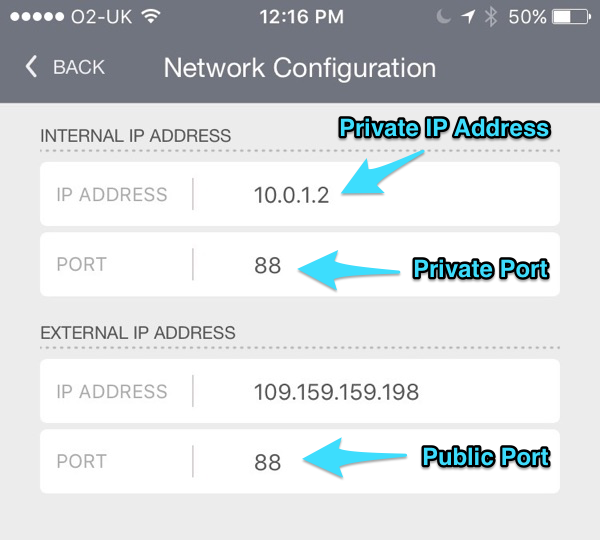 You can find the Public and Private ports in the OWLR app under the Camera Settings --> Network section. Use the same port for both TCP and UDP. Private IP Address: this is the Internal IP address listed in the OWLR App as well. Hit Save and then Hit Update. Once the router comes back, you can check if the camera was set up for external access by turning your phone to your mobile network. The camera should now show up. If you have further difficulties, please send us an email at support@owlr.com. We have not tested this yet, but others have suggested this will work. If you return to the AirPort Utility and return to the Network tab, the following setting will configure the Apple NAT-PMP feature for future autoconfiguration. 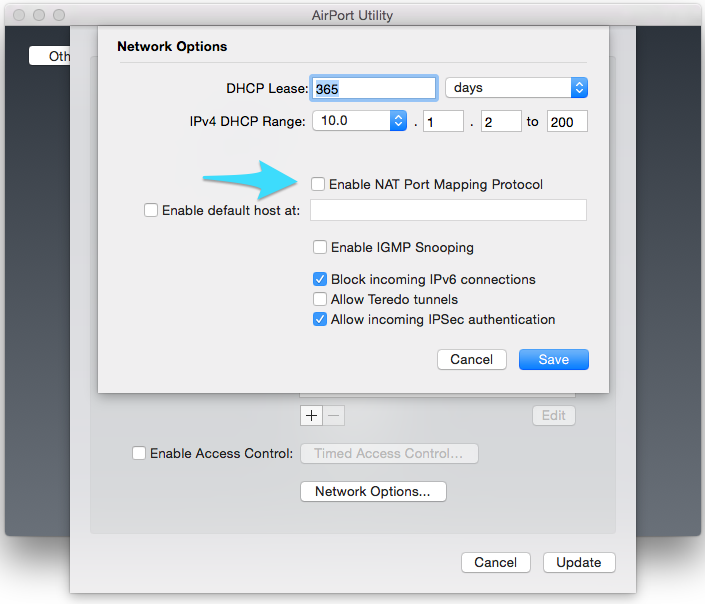 Simply click on the Enable NAT Port Mapping Protocol and Save and Update.